Summertime is the most popular time of year to build a deck. We believe it has a lot to do with the drive home from work every evening. Why? Because you pass your neighbors’ homes and wave at them while they’re out on the deck grilling dinner with their family. A deck is by far the best place to enjoy the great outdoors without leaving the comfort of your home. 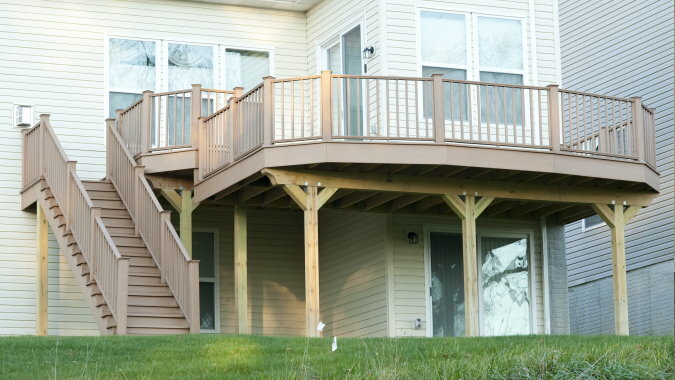 Here are a few ideas for building a deck that will be the envy of the neighborhood. Traditional decks are beautiful pieces of art, but multi-tier decks win the prize for unique style and aesthetic appeal. 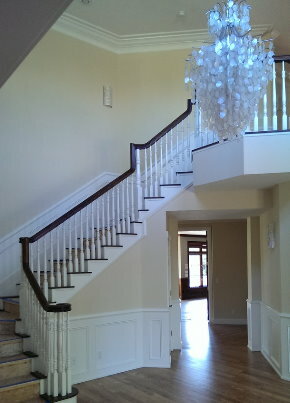 Second or third-story decks provide the best option for a tiered design. They allow you to build a deck from a third story bedroom, connect it to a deck on the second story, and then again on the first story leading to the ground. Each tier could easily serve a unique purpose depending on the area of the house from which it leads. A bedroom balcony style deck, for example, could be partially blocked by a privacy screen or natural screen of plants. This would provide the privacy you need for bedroom windows and allow you to enjoy your deck without providing robe-clad views to the neighbors. The deck area leading from the dining room would be nicely suited for an outdoor dining room table with umbrella, a grill, and an outdoor kitchen area. 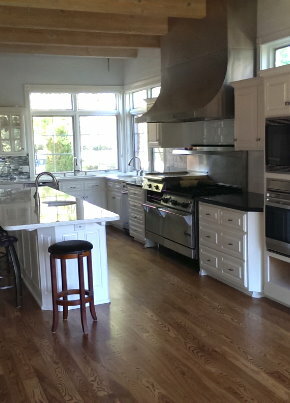 Add more rail-seating and drink holders, and you’ve got an amazing place to host parties of all types. The deck that leads from the first floor will likely have a great deal of shade from the upper two areas. This is the perfect spot for shade-loving plants, kids’ toys, and pets. Pets generally love decks because it feels like they’re outside, but they’re still in the protection of your home. Create an area that allows them to chase toys and play fetch without losing their toys over the side. Create a sense of warmth and bring nature into your deck with the use of planters. Tall plants may be used as a privacy screen of sorts. Make sure to choose nontoxic plants if you plan to let your pets enjoy the deck. If you have young children, ask them to help grow pizza plants (tomatoes, basil, oregano, peppers, onions, etc…) and other food-bearing plants. This is a wonderful way to teach children where food really comes from and let them help cultivate their crops. Water features add a lot of weight to a deck, so make sure to discuss this with your contractor before construction begins. The contractor will add extra supports to the area that will house the water feature so you don’t have to worry about damages to the deck’s structure. Hot tubs are an incredible way to relax and really make the most of your deck. Again, with something this heavy, talk to your contractor before installing it. He may need to make adjustments and strengthen the area in which the hot tub will sit. Regardless of how big or well decorated your deck is, the craftsmanship will be very apparent, even from a distance. Great craftsmanship can be spotted from a good distance away. Feel free to ask us about ways to make your deck stand out and turn your neighbors green with envy.